The body of work renders the experiences of “Student Evaluations of Course” (SEC) reports by juxtaposing distorted audio recordings of SEC feedback with layered footage of university spaces. 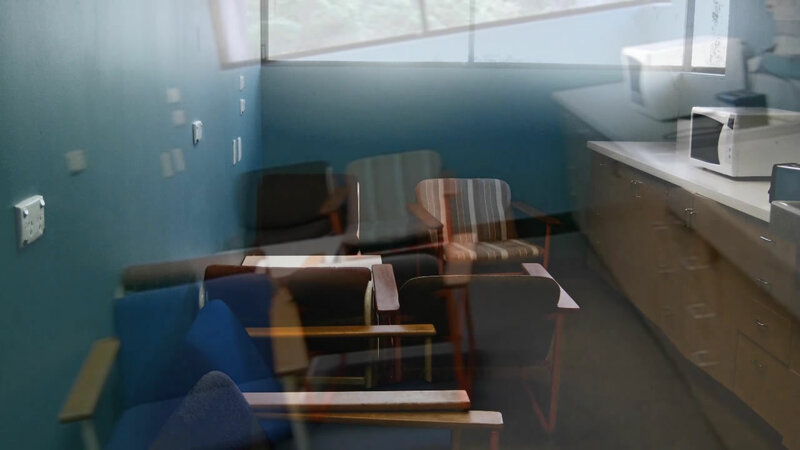 The interactive video work is an appropriation of the hidden object app game Witch’s Prison, and focuses on the embodiment of an academic staffroom space. The body of work is a response to what it means to be an academic in the current neo-liberal climate of surveillance, and in some sense, is a cathartic exercise to help manage the angst and frustrations in the incoherent bureaucracies of contemporary academic life.